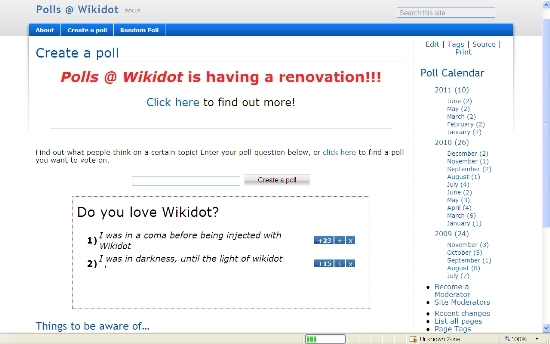 Wikidot Data Form Converter: Check and Convert your DATAFORM Definitions of a live _template. 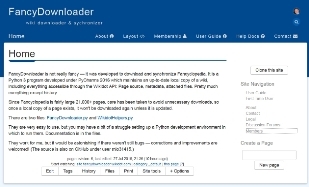 FancyDownloader creates a local copy of a wiki including metadata and attached files and each time it is run subsequently, updates the local copy without downloading the whole thing again. 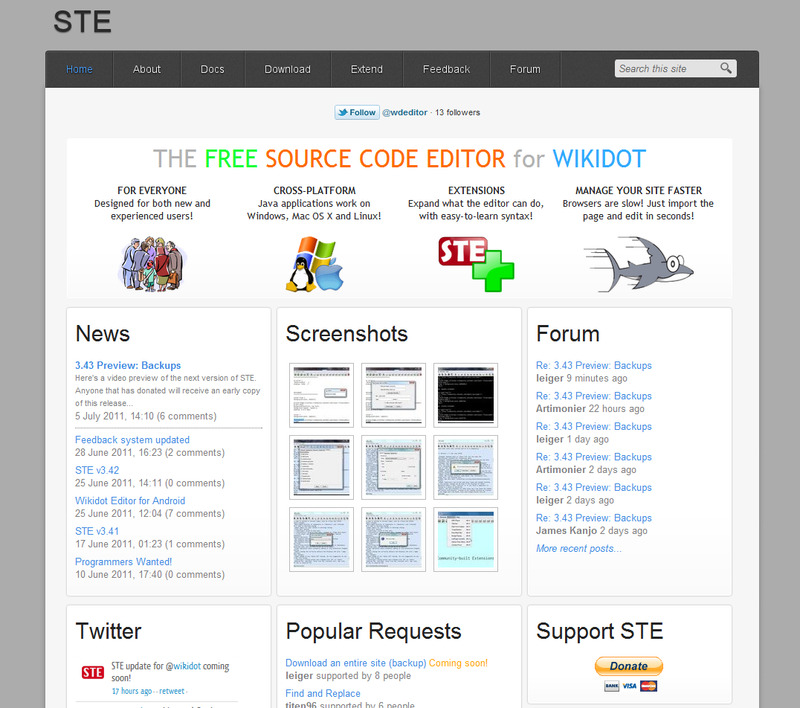 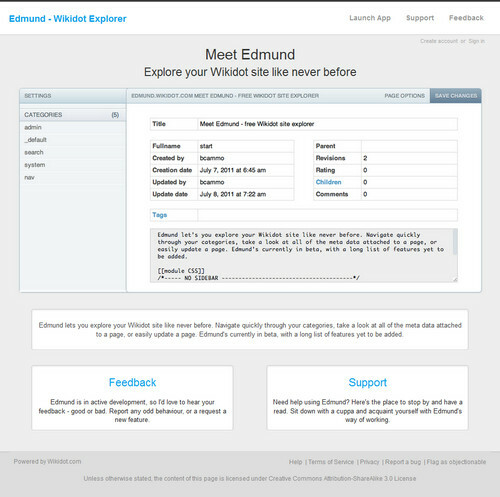 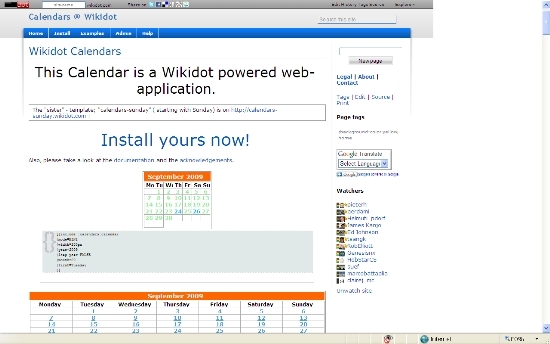 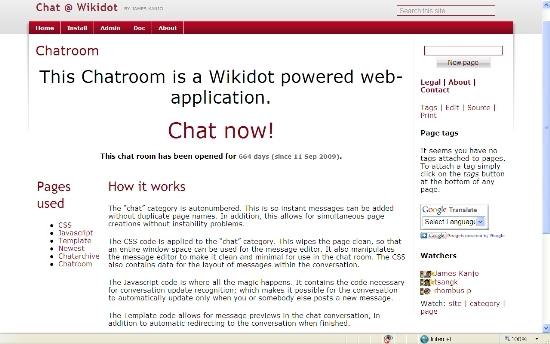 STE is a source code editor for your Wikidot website, with dedicated support for importing and exporting from Wikidot.com. 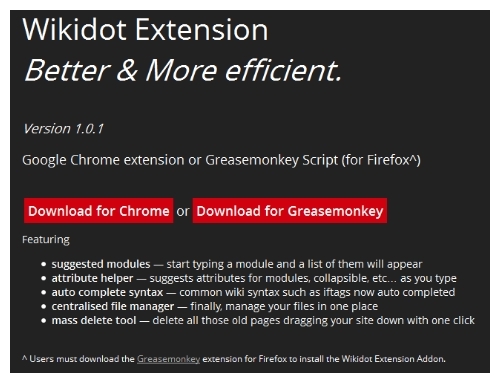 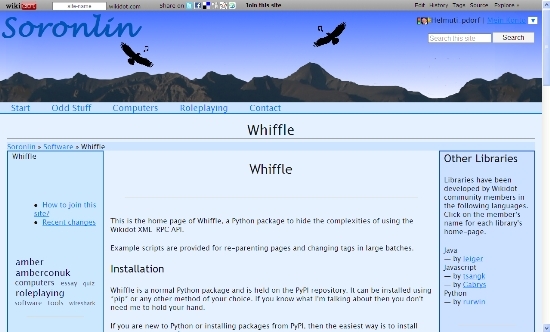 Available for Windows, Mac OS X and Linux. 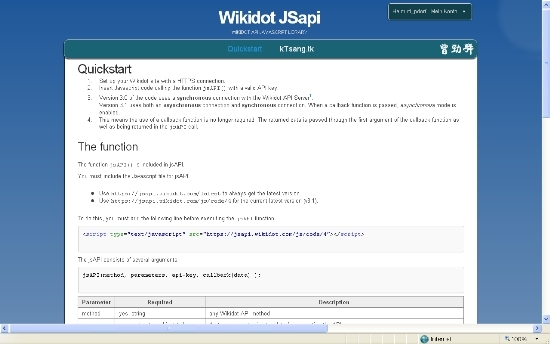 A Python package to hide the complexities of using the Wikidot XML-RPC API. 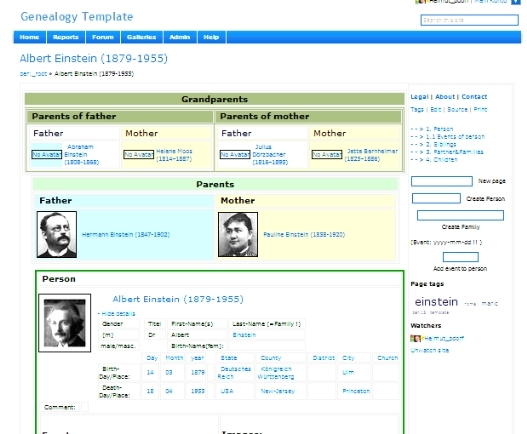 Example scripts are provided for re-parenting pages and changing tags in large batches.